• The new action RPG from Square Enix: NIER, the newest franchise from RPG masters Square Enix, delivers unique and memorable characters, intense action-packed battles, explosive magic and storytelling..
• Unbelievable Story Twists and Reveals: Immerse in an amazingly intricate storyline set in a world plagued by human anguish, buried secrets and a ravaging disease. With plot twists hiding around every corner, NIER’s story needs to be seen to be believed. • RPG-Style Gameplay Injected With Action-Packed Combat: Battle ferocious and mysterious enemies by combining proven RPG-style gameplay, such as magic, character development and faithful allies, with action-focused explosive swordplay and combat. 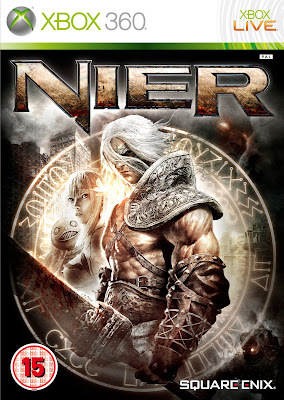 • Powerful Magical Abilities: When his sword isn’t enough, Nier can call on a remarkable array of stylish and powerful spells to augment his combat moves and overcome adversaries. As players progress, upgraded spells will help defeat ever-more-deadly enemies. • Brutal Combat Moves: Face off against evil creatures and unleash brutal combat moves along with devastating combo attacks. Unlock an arsenal of devastating weapons, each with its own design and attack style. • Formidable Allies: Travel with a dynamic party of allies and do battle against monstrous giants as a powerful and united party. • An Imaginative and Stunning World: Travel across an unforgettable world filled with varied landscapes featuring the hauntingly familiar remains of modern society.